**Note. 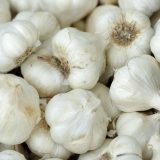 Refund for garlic is only honored if product is returned in full.One very big bulb of garlic filled with huge delicious cloves. 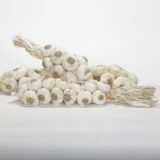 This is NOT elephant garlic, it is just a large “Colossal” bulb of Gilroy* garlic. Hand picked, hand sorted, and hand cleaned.